Extravagant art display and too perfect foods to eat and creative seating area -what I name it a special cafe. 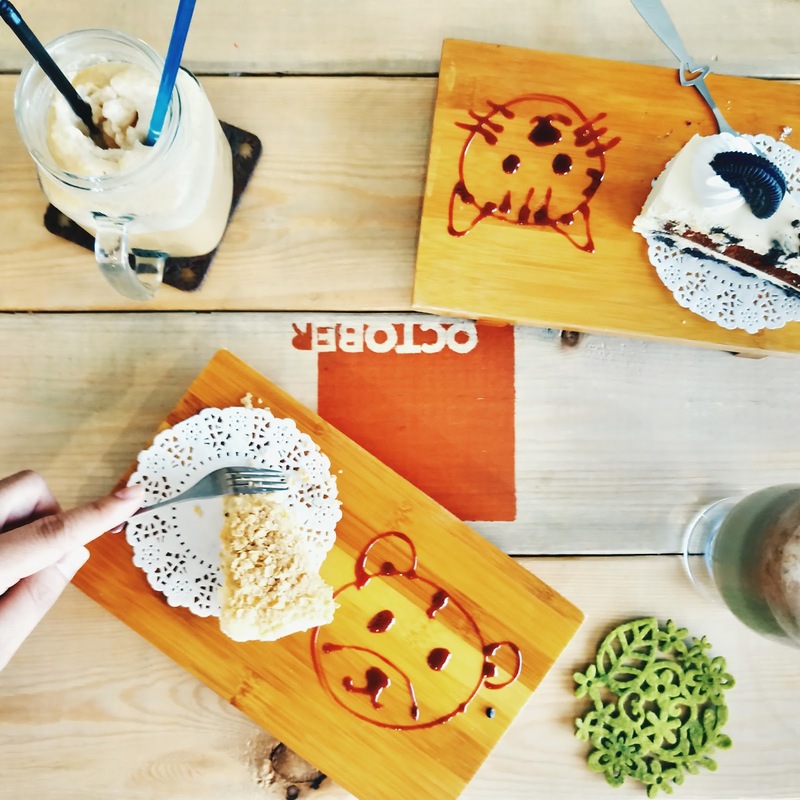 It is not your ordinary cafe, it's made for Instagram or a place for 2 hours or more to chit chat. We visited quite a number of this cafe's around and listed few cafe that is worth to visit (in my opinion) cafe. By the way, I am not a food critic. I am a just big eater, like Y'all. Relax Coffee @ Menggatal Plaza. Located quite far from city centre (well, not that far), Relax Coffee Cafe, two stories urban-hype black widow kind of theme that really embodies its name. From all the cafes, this I've visited thrice.The reasons being is that it is comfortable, tons of spaces for your to social, great foods (snacks), variety is the key and the parking is easy to find (thanks to its location). The service crew is very helpful. But, yes... there is but, quite warm sometimes. Oh yes, they roast their own coffee. I adore the design of the chair and creative wall art. I like October Roast simply because of its community space and foods presentation. Absolutely a unique way to serve your cake! Coffees such as Dutch Coffee, Flat White, Ice Blended Mocha, the price can be from RM9.00 and above. Hokkaido cake is to die for.Great snack selections such as Scone/Buttermilk Biscuit, Burnana Cream Toast, Bruschetta(Beef) and much more which the price from RM9.00 to RM12.00. Small cafe but great chair! Ample parking space nearby the shop. The price is quite ok but you can expect the price range same as the others speciality cafe's formula. They serve lunch as well which more to western foods. Green tea Ice Blended is to die for and avocado cake is delicious. Very chic design with dim light and soft music elevate the relax feeling. Variety choice of seats available perfect for different guest needs either for chit-chat or browsing your laptop. Vintage look kind of feels as you walk into the cafe. Big King Chair with half-done workshop's wall decor brings the Downtown Abbey aura. Weird menu names such as Candy Man, Sugar Man, Sweet Surrender, Here Comes the Sun, Piano Man make it even more interesting. Portion of the cakes rather quite small compares to the rest (who doesn't care about portion size? Coz I did). There you go, suggested Cafe for you to spend your day & money to make them rich!